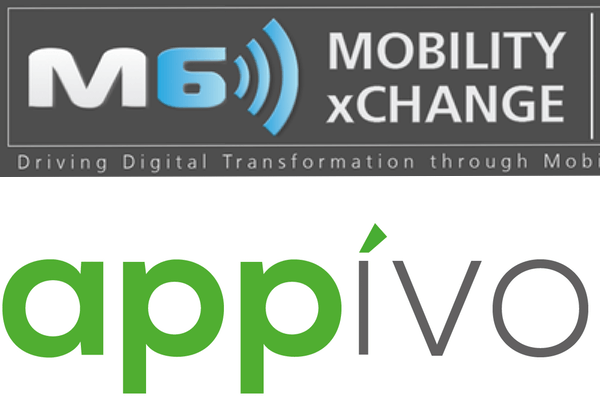 Appivo is proud to be a Silver sponsor at this year’s M6 Mobility xChange conference, May 22-24, in Phoenix, Arizona. M6 Mobility xChange is a fantastic mobility summit, focused on bringing an executive enterprise audience together with select vendors to discuss the latest in mobile strategy, policy, solutions and security. Unlike many tech conferences that focus on tech for the sake of tech, M6 Mobility xChange places a strong emphasis on the ability of new and emerging mobile tech to help attendees advance their business objectives and to capitalize on the rise of digital technologies. Sign up for the Appivo beta now! I’ve seen the list of attendees and while I probably shouldn’t share it here, I’m confident that there will be some great presentations and discussions. In addition to Appivo, some of the other sponsors include VMware AirWatch, IBM, MobileIron, and PowWow Mobile; so we’ll be covering mobile from a number of different angles. Appivo, of course, will be focused introducing our innovative low-code, rapid app platform. You can see the full conference agenda here. If you’re not coming to the M6 Mobility xChange this year, ping the event team now for an invitation to next year’s event! For those who can’t make it, I’ll be tweeting updates from the conference and will be sure to write a wrap-up post afterwards, including any key presentations that I can share. I’ll definitely share the Appivo presentations! Next: Next post: Appivo Engineers Achieve Maximum Victory!